In July 2009 the By-Laws directed that major contributors should be recognized. 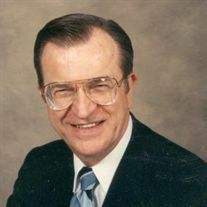 Subsequently, each year the Board of Directors of the Joseph Vick Family of America nominate (vote unanimously to honor) and give lifetime JVFOA memberships along with the status of Emeritus Directors. This recognition is heartfelt and filled with love and affection from the Directors who appreciate the years of dedicated work to the sustainability & leadership to the family. July 2009 - Mr. & Mrs. Joseph & Billie Jurlina; Your commitment to JVFOA and the long hours required for publishing and mailing the VICK Newsletters from 1993 until 2000 will never be forgotten. Billie, your support as Secretary, and Joe, your leadership as President for years, will always be remembered. This award represents the Directors and members admiration and appreciation for the effort you have contributed to Joseph Vick Family of America. July 2009 - Mr. Robert A. Vick, III; Your leadership during the lean years protected the family corporation as it hung by a thread, we will always feel dedicated to you. Your presence always improved our reunions. Some of your presentations and discussions will be long-remembered and are now a part of everyone's genealogical files. This award represents the Directors and members admiration and appreciation for the effort you have contributed to Joseph Vick Family of America. July 2009 - Mr. James B. Davis; Due to your effort, Vick descendants will forever have a tangible document to learn about their family history. No one in the organization has contributed more than you have to the Joseph Vick Family of America organization. The book, Joseph Vick of Lower Parish, Isle of Wight County, Virginia, that you published is the centerpiece of the organization's genealogical activity. The Joseph Vick Family of America members will always be grateful for your generosity, foresight, and planning which you demonstrated regarding the publication and distribution of this book. July 2009 - Ms. Di Ann Vick; There is no one who has contributed more work than you have doing research, newspaper publications, and preparation of the book, Joseph Vick of Lower Parish, Isle of Wight County, Virginia. This award represents the Directors and members admiration and appreciation for the effort you have contributed to Joseph Vick Family of America. July 2009 - Mr. John Beatty; There are but a handfull of individuals that have done more than you for JVFOA. You were the catalyst for the early research of the descendants of Joseph Vick. The book, Joseph Vick of Lower Parish, Isle of Wight County, Virginia, that you co-authored is meticulously researched, edited and indexed. This award represents the Directors and members admiration and appreciation for the effort you have contributed to Joseph Vick Family of America.